Eureka Lemons are the common grocery store variety. Eureka Lemons are the common grocery store variety. 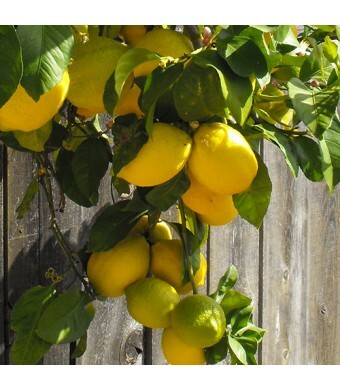 They produce a large amount of fruit as compared to the other lemon varieties. This dwarf variety is an ideal tree for consumer use. 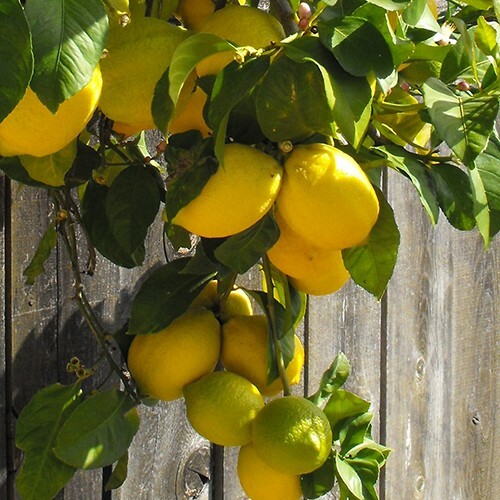 The size of the Eureka Lemon Tree can reach up to ten feet if planted in the ground but doesn't tend to exceed six to seven feet when in a large container. The tree can be kept smaller via pruning and the use of smaller containers to restrict root growth. Eureka Lemons are cold hardy in USDA Growing Zones 9-11. They can be kept as a container-grown tree in all other growing zones if they are brought indoors for the winter.